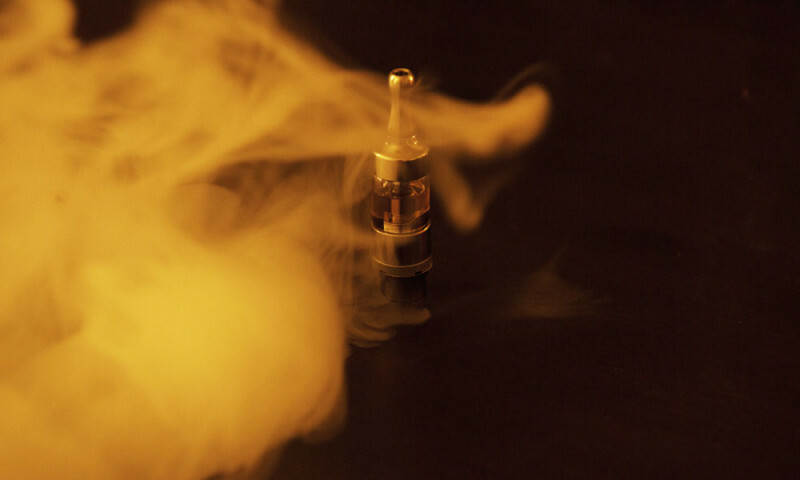 UK anti-smoking charity Action on Smoking and Health (ASH) might seem unlikely champions of electronic cigarettes, and it’s fair to say that their approach has always been very cautious. However, unlike some (the US CDC being a prime example) ASH have asked the right questions, and based their position on the evidence they have generated (as well as the other scientific evidence that is available). ASH asked questions about use of flavours and frequency of use, in stark contrast to many of the more poorly-constructed surveys…. A team consisting of Grant O’Connell, Stéphane Colard, Xavier Cahours and John Pritchard carried out research titled “An Assessment of Indoor Air Quality before, during and after Unrestricted Use of E-Cigarettes in a Small Room”. It is the first study of its kind to be completed following the nonsense study that killed mice using an influenza virus…..
DADAFO believes that this pleasant surprise comes as a result of the huge amount of responses to the request for comment, both from organisations and individuals, as well as the many emails sent to the relevant government instances and even the Minister of Health. The hard work that DADAFO and individual vapers have done has really paid off. Congratulations to you all! 3) Print a copy of this form https://www.dropbox.com/s/4sz2ud35y157d86/article20legalchallenge.com_Say_No_Form.pdf?dl=0 and ask your friends and family to add their support when you see them over the Bank Holiday Weekend. Nearly half a million people have switched smoking tobacco for e-cigarettes in the last year as they try to kick the habit, research shows. Action on Smoking and Health (ASH) said there are now 2.6 million vapers in Britain, up from 2.1 million in 2014. Nearly all of this increase is attributable to a rise in ex-smokers using electronic cigarettes, it said. 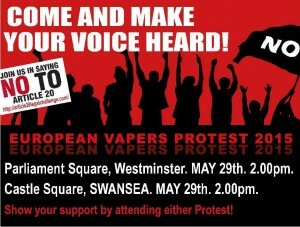 The campaign group said the figures showed the ‘value’ of e-cigarettes in helping smokers give up tobacco…. Keith and Dave host Chris Russell (@NicotineSurveys), look at two new eGo Ones, talk 4Mal de Hyde and Farsalinos, and rise to Castello’s challenge. “We know that increasing the price of tobacco is the most effective method to reduce consumption,” [Brian King, acting deputy director for research translation in the Centers for Disease Control and Prevention’s Office on Smoking and Health] said. “Since smokeless tobacco is taxed lower in most states along with other products like e-cigarettes, this could be contributing to the lack of decline in use,” he said. The argument that e-cigs are a gateway to tobacco is flawed. A recent study found that out of more than 9,000 11-16 year-olds surveyed, less than 2 percent had ever vaped, and almost all that had vaped had already smoked tobacco before…. It’s a no-brainer: Aggressive reduction of tobacco-associated death and illness is a public health imperative. That’s why I am cautiously willing to embrace electronic cigarettes and other forms of vaporized nicotine if such an approach is combined with stepped-up efforts to curtail tobacco use. Although accepting vaporized nicotine while opposing tobacco may sound contradictory, it’s not. Here’s why….